Published by Reed. 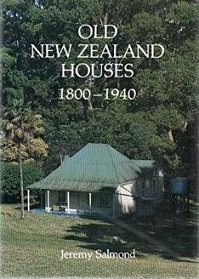 This copy a 1986 First Edition They appear everywhere in the New Zealand landscape, a wonderfully distinctive collection of older houses of all shapes and sizes, built along the street of cities and small towns, and across farming hillsides and by country roads. This book is both a history and a celebration of New Zealand's magnificent old houses, and a clear and approachable account of how these houses were built and inhabited.